bodybuilding diet: diet to build muscle | Health Pure Lives. In bodybuilding, diet is a key to good muscle building, as well as the knowledge of morphological type , or the drive . Good nutrition requires knowledge of the principles ofnutrition of the muscles and the definition of a regimeadapted. The body needs energy to function. This expenditure is themetabolism , a process that varies according to gender, age or morphology of people. Strength training is a physical activity that requires even more energy. 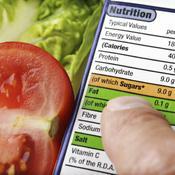 It is therefore essential to assess the caloric expenditure to determine the appropriate diet. The idea is not to consume too much not to take fat, but also to eat enough to get in shape. Men spend more calories than women. Calorie consumption generally decreases from 40 years. More physical activity is intense and more regular energy needs are important. The hormones also act as weighting element: equal activity, two men of the same morphology and the same age can have different metabolism. The average BMR is estimated between 1200 and 1300 kcal per day (includes only the respiratory and digestive functions). It amounts to 2500 kcal / day for non-sporting men and 1800 kcal / day for sedentary women. A sport can grow calorie consumption up to 75%. Energy intake must be adapted. Spread well calorie intake during the day: 25% in the morning, noon 40% and 35% in the evening is the perfect balance . This is to be weighted depending on the pace. the protein mixtures are not meals. Snacking is prohibited. Eat everything in reasonable and measured quantities: adapt the contributions of food and money. Eat balanced by favoring protein to build muscle (meat, eggs, fish, soy …). Do not neglect carbohydrates (cereals, fruits, vegetables …) and some fat (vegetable oil, fish fat …). Never forget carbohydrates or lipids, they complement proteins and their absence may disrupt the metabolism and cause health problems. It is the practice and habit that find the right balance. Hydration is part of the diet. It is a pillar that must not be neglected in order to avoid injuries such. When does weight training, that figure is growing naturally. It is therefore important to drink enough before the meetings, during the sessions and after the sessions. No need to wait thirst, drink should be a ritual. Between the exercises, it is rather advisable to drink small amounts frequently than once a large amount.